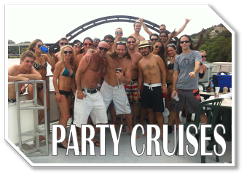 Austin Party Cruises reccomends a full line of services for a successful dinner cruise, casino party, company outing and much, much more! From a casual swim party to a formal wedding reception, one of our cruise boats is sure to be perfect for your next private party. 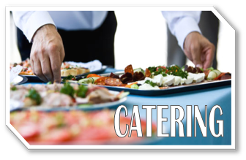 For your event, we can help arrange for all your catering and beverage needs. You are also welcome to bring your own food onboard. 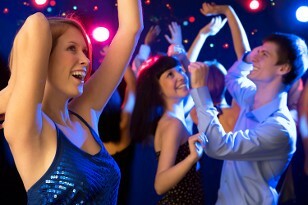 Contact our office today to reserve your next private party aboard one of our party cruisers! 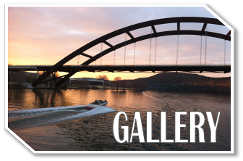 Come aboard and enjoy a new dining experience on beautiful Lake Austin! We can help arrange exclusive dinner cruises which are perfect for rehearsal dinners, receptions, holiday parties and much more! Delicious buffet selections that are sure to please all of your guests! While dining aboard one of our cruise boats, you will enjoy the beautiful scenery of Mount Bonnell, majestic waterfront estates, the 360 Bridge and much more! Beat the heat! Jump in the lake! Swimming parties are safe and fun on Lake Austin! There are plenty of good swimming spots and we have plenty of life vests and swim noodles! What could be more fun than having your party be a swimming party! So bring your swim suit and suntan lotion and plan for some cool fun on your party cruise! Everyone has so much fun it’s hard to get them back on the boat! Lake Austin is a safe constant level lake, it stays full and the water is always clean and inviting. 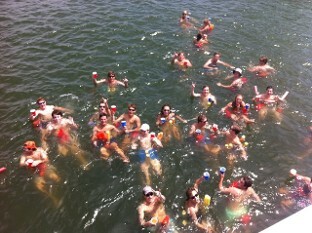 A swimming party cruise is perfect for your next company party, graduation, birthday, or any party! 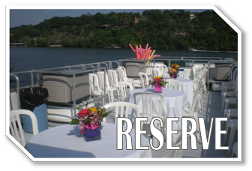 Perhaps the most popular choice in Austin for company parties and corporate gatherings is on a party cruise! You can start by taking care of business and then relax and mingle. 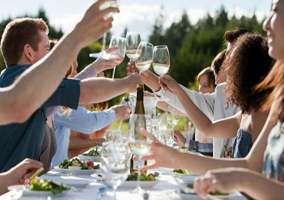 Enjoy some team building activities and entertain clients. So close to downtown yet so far from work! Dine, drink, swim and just forget about the hustle and bustle of work. Perfect for customer appreciation parties and staff parties. Flexible food and beverage options, Formal or Casual, throw in a casino table and you’ll want to do it again next week! 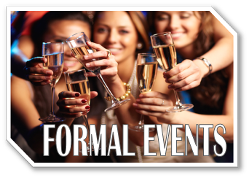 Formal or Casual; Austin Party Cruises has the perfect setting for engagement parties, bridal showers and bachelorette parties, receptions and rehearsal dinners. The beautiful scenery of Westlake and Lake Austin is the perfect backdrop for a beautiful day event or sunset and evening setting. DJ and dancing or relaxed and casual, our new upscale cruiser “Celebration” will indeed make it a celebration to remember! 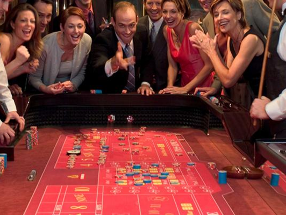 The Glitz and Glamour of LasVegas will come alive for your guests as they have the opportunity to play Blackjack, Texas Hold'em, Craps, Roulette and more!! 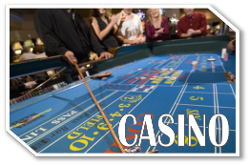 You will find that participatory entertainment, such as a Casino Party, produces the liveliest and most memorable parties. We can help arrange professional services with trained dealers who will ensure that all guests enjoy the games. The dealers are accustomed to dealing with both experienced and inexperienced players and are eager to teach the games to everyone. 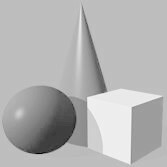 What better way to learn these games than in an unintimidating environment in which you have nothing to lose?